There are many treatments for type 2 diabetes. Some treatments are natural, like lifestyle changes, while others are medications that have been used for decades, like metformin. 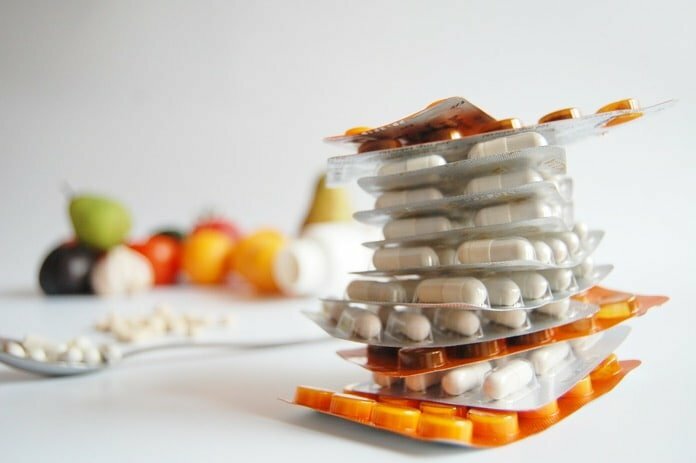 New medications and treatments are still undergoing clinical trials, while others have entered the market in recent years. Below, we will discuss the top seven type 2 diabetes treatments currently on the market. Before we can understand how these treatments work, we must first understand how type 2 diabetes occurs and how physicians diagnose it. How does type 2 diabetes occur? Type 2 diabetes occurs when an individual’s body either does not make enough insulin or does not properly respond to insulin. Insulin is a hormone that helps the body control sugar levels in the blood. Insulin is produced and stored in cells of the pancreas called beta cells. For individuals with type 2 diabetes, the beta cells of the pancreas do not work properly and do not produce enough insulin. This results in an increase in sugar levels in the blood. Having high sugar levels in the blood, a condition called hyperglycemia, is dangerous because it can damage the vessels that supply the organs with blood. If these vessels are damaged, it can increase a person’s risk for heart disease, stroke, kidney disease, and cause vision and nerve problems. To diagnose type 2 diabetes physicians will check an individual’s blood sugar levels. The two recommended screening tests are the fasting plasma glucose test and the glycated hemoglobin test. The fasting plasma glucose test is often the first test physicians will order. The FPG test measures blood sugar levels after not having anything to eat or drink for at least eight hours before the test. The A1C test measures the percentage of blood sugar attached to hemoglobin. Hemoglobin is the protein that carries oxygen in red blood cells. If a person has high blood sugar levels, they will have more sugar attached to the hemoglobin in their red blood cells. Other tests to measure blood sugar levels include a random blood sugar test and an oral glucose tolerance test. Physicians may order multiple tests to confirm a diagnosis. If a person has been newly diagnosed with diabetes and they have a hemoglobin A1C level less than 8.5%, lifestyle changes in diet and exercise may be a sufficient first step for treatment. However, if the individual’s blood sugar levels do not reduce to a certain target level within two to three months, then they must start therapy using medications. If a newly diagnosed individual has a hemoglobin A1C level at or greater than 8.5%, they will start on medication immediately, along with changes in diet and exercise. These patients usually require two medications from two different drug classes. The goal of treatment for type 2 diabetes is to keep an individual’s blood sugar levels at normal or near-normal levels. While type 2 diabetes cannot be cured, some individuals may be able to keep their blood sugar levels at normal or near-normal ranges with minimal treatment, while others may require extensive medications. Below, we list the top seven type 2 diabetes medications. For the purpose of this review, we will refer to the drugs using their generic drug names. The brand names for each drug vary across countries. Metformin is usually the first choice of treatment for patients who have been newly diagnosed with type 2 diabetes and do not have complicated symptoms. Metformin falls under the drug class called biguanides. Metformin is the only biguanide in clinical use. Another biguanide, called phenformin, was taken off the Canadian market in 1977 and is banned in several countries because of its risk of causing lactic acidosis. Lactic acidosis is a metabolic disorder that may become fatal due to the abnormal build-up of lactic acid in the blood. The risk of lactic acidosis occurring with metformin is very rare, and many studies have proved metformin to be safe and effective. Metformin’s goal is to lower blood sugar levels by lowering the amount of sugar the liver produces. It decreases the intestine’s absorption of glucose and improves insulin sensitivity. Take with food: Individuals on metformin should take it with food to reduce stomach irritations. Avoid alcohol: Drinking alcohol while on metformin may increase the likelihood of bringing blood sugar levels too low or the occurrence of lactic acidosis. If an individual needs a second medication, the second drug should be individualized. Physicians will consider the patient’s kidney function, hypoglycemia, weight concerns, insurance coverage, and other factors. Since type 2 diabetes can cause damage to blood vessels, it is important to have medications that are safe for the blood vessels. In 2015, a trial was the first to find that the drug empagliflozin was the first to be associated with reduced cardiovascular events in high-risk patients. In another trial, researchers found the drug liraglutide to also be associated with reduced cardiovascular events and death from any cause. Liraglutide is part of a drug class called GLP-1 receptor agonists. GLP-1 receptor agonists mimic a hormone called GLP-1, which belongs to a class of hormones called incretins. Incretins decrease blood sugar levels after a meal. When an individual takes liraglutide, the drug increases the secretion of insulin, which helps the body control blood sugar levels by signaling the liver, muscle, and fat cells to take in glucose from the blood. Liraglutide also suppresses the secretion of glucagon after meals. Glucagon has the opposite effects of insulin – it stimulates the release of sugar into the blood – and its release is not beneficial for those with type 2 diabetes. Other GP-1 receptor agonists include dulaglutide, exenatide, and semaglutide. Drug and food interactions: Liraglutide may reduce the rate of absorption of other oral medications. Acarbose belongs to a drug class called alpha-glucosidase inhibitors. Another drug in this class is miglitol. How do alpha-glucosidase inhibitors work? Acarbose and miglitol inhibit the enzymes called alpha-glucosidases. These enzymes line the intestine and break down carbohydrates into simple sugars. By restraining the work of these enzymes, acarbose and miglitol causes a delayed digestion of starches and thus lowers blood sugar levels after a meal. Algoliptin belongs to a drug class called DPP-4 inhibitors. Other DPP-4 inhibitors include linagliptin, sitagliptin, and saxagliptin. How do DDP-4 inhibitors work? DDP-4 is an enzyme that breaks down the hormone GLP-1 and makes it inactive. As discussed above, GLP-1 is a hormone that brings down blood sugar levels after a meal. It brings down blood sugar levels by increasing the secretion of insulin. DDP-4 inhibitors do not allow the DDP-4 enzymes to break down the GLP-1 hormone. This allows the GLP-1 hormone to continue its work bringing down an individual’s blood sugar levels after meals. Typically, drugs that are DDP-4 inhibitors are prescribed with other drugs that bring down blood sugar levels. However, algoliptin, linagliptin, and sitagliptin have been approved to be prescribed on their own. Glyburide belongs to a class of drugs called sulfonylureas. Sulfonylureas stimulate insulin release. Other drugs in this class include chlorpropamide, tolbutamide, gliclazide, and glimepiride. Physicians may prescribe these drugs as add-on medications or as a single medication for those who cannot take metformin. Chlorpropamide and tolbutamide are typically not prescribed due to their absorption, distribution, and metabolism rates in the body, and their higher chances of interacting with other drugs. Glyburide is an inexpensive type of sulfonylureas. However, it is included in the BEERS list of medications that are considered potentially inappropriate for the elderly. Canagliflozin falls under the drug class called SLGT2 inhibitors. This is the newest class of drugs for diabetes. Other drugs in this class are dapagliflozin and empagliflozin. SLGT2 stands for sodium-glucose co-transporter 2. SLGT2 is a protein involved in the kidney’s reabsorption of glucose. SLGT2 inhibitors prevent the SLGT2 proteins, thus preventing the kidneys from reabsorbing glucose back into the blood. Instead, the body will excrete the glucose through urine. SLGT2 inhibitors are overall good options for lowering blood sugar levels in addition to metformin. Pioglitazone and rosiglitazone belong to a drug class called thiazolidinediones (TZDs). These drugs influence genetic expressions in the cells, leading to improved insulin sensitivity and lower blood sugar levels and circulating insulin. However, the mechanism underlying these effects is still unclear. There have been concerns over the cardiovascular safety of these drugs. While studies have found increased risk of cardiovascular events (such as heart attacks) in patients taking rosiglitazone, other studies found that rosiglitazone has protective effects on cardiovascular events. As for pioglitazone, studies have consistently lacked any signal of increased cardiovascular risks. There are also concerns over the increased risk of bladder cancer with pioglitazone. Due to these concerns, Health Canada requires physicians to advise their patients about the risks of these drugs and to obtain patients’ written consent for all new and renewed rosiglitazone prescriptions. 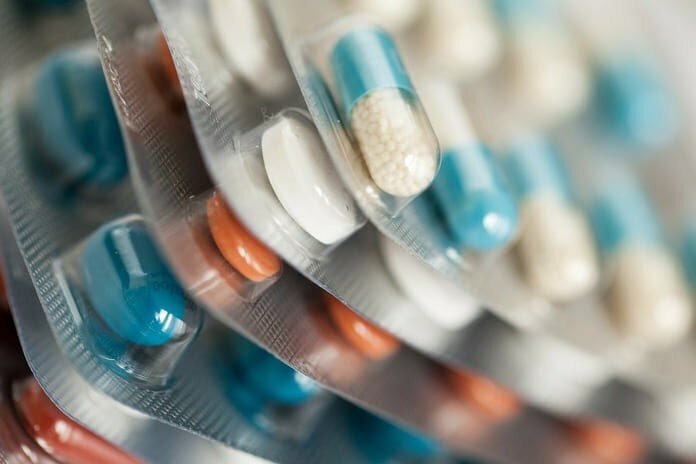 It is important to note that the US Food and Drug Administration (FDA) has removed its prescribing restrictions for drugs containing rosiglitazone, after a trial did not show an increased risk of heart attacks. Patients with heart failure should not take this drug. The cardiovascular effects of these drugs are still being investigated. Type 2 diabetes is progressive in nature. Because of this, diabetic medications that aim to lower blood sugar levels will gradually lose their effectiveness over time. The longer a person has type 2 diabetes, the more likely they will need to start an insulin regimen. Some physicians will consider starting a patient on insulin at any point during type 2 diabetes management, along with other medications. Insulin has been an important option for patients because of its potent effects on lowering hemoglobin A1C levels. 3. Rena G, Hardie D, Pearson E. The mechanisms of action of metformin. Diabetologia. 2017;60(9):1577-1585. Disclaimer: The data provided in this article are for informational purposes only. It is not intended to and should not be relied upon or construed as medical opinion or medical advice regarding any specific issue or circumstance.